Anyway, I am near the end of the game and spotted a minor issue that you may want to update. A certain character near the end of game has the skill Transfer, but in the description it says Kazuki, instead of that character. Noted. Thanks for bringing that to my attention. It's not enough for me to update the game again. But if I get enough issues minor or stop getting issues for a certain amount of time, I'll update them all at once. I won't make nearly as big of a deal about it like I did for this recent update though. I reuploaded. The maps and battles work on my end after deployment, at least. If there are any other issues, it will, unfortunately, have to wait until I get home from work. I'm not sure what happened here. It's using resized 32x32 tilesets instead of the native 48x48. What is name at that monster? None. That is the attack command. 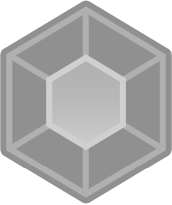 A bit of background for this image, in case someone thinks this is the really a skillset for the game. This is only in the tutorial battle. 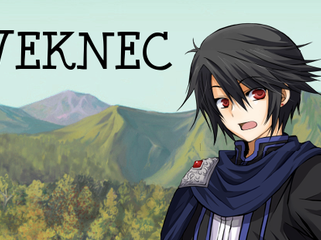 This game can be seen as a satire for generic RPG plots, but a lot of that criticism is directed at the surplus of Kemco RPGs that can be found on many digital storefronts. I kid you not, one of the characters in a Kemco RPG I have played had a skillset that was more or less what you see above. Worry not. The actual game has a wide variety of skills. I definitely wouldn't mind revisiting and help polish this game as well. However, that kind of ruins the point of the chain game's initial rules. 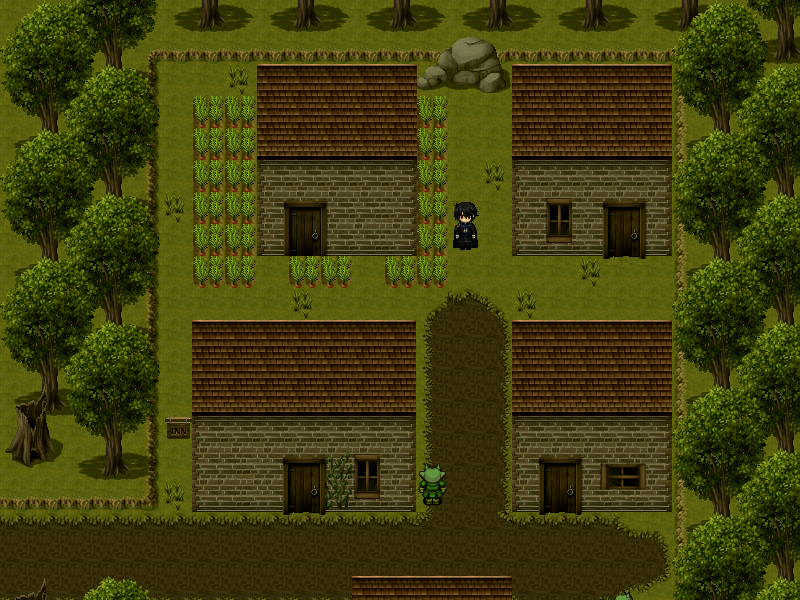 Chapter 8 was the first thing RPG Maker related I released on the web. I was only 16 years old at the time. My inexperience and carelessness lead to what I believe to be the most unpolished chapter in this game. I know Deck wanted to do something more with the successor of this game, The Radiant Chain, about a year ago. But maybe that was too ambitious and time-consuming for a project that varied in quality and had an uncertain future. I would have more confidence in a simpler chain game like this. Finish a single chapter, release it into the wild, make sure no one is hogging the project for several weeks, and see what monstrosity comes out of it. Question and sorta update for y'all. I'd be down for a demo. Also would you mind if I asked where the character sprites are from? They're pretty dope. I figured since I was making a commentary of JRPGs, it would only be fitting to use a light novel-esc title like an Isekai. I also noticed after submitting this a somewhat similar title won the 2017 award for best title. Check the character sections, a few face sets are paired with sprites, but most don't. The same thing applies to here.